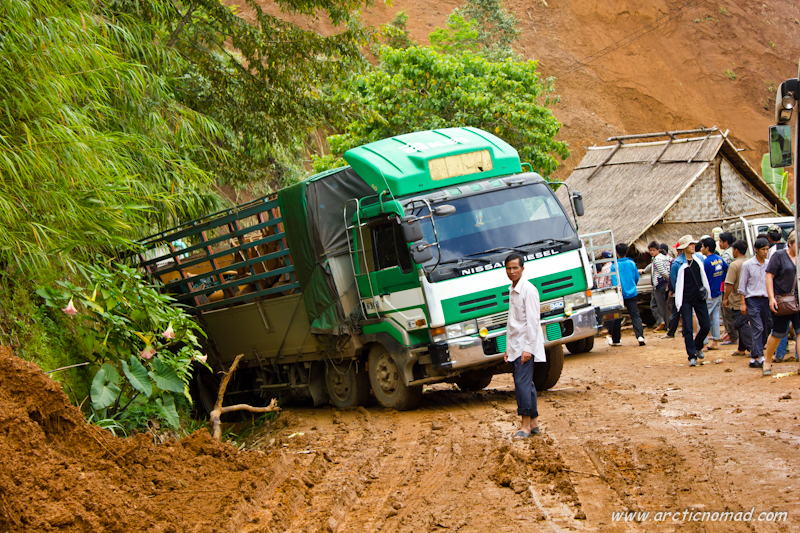 The infrastructure in Laos need some serious work! 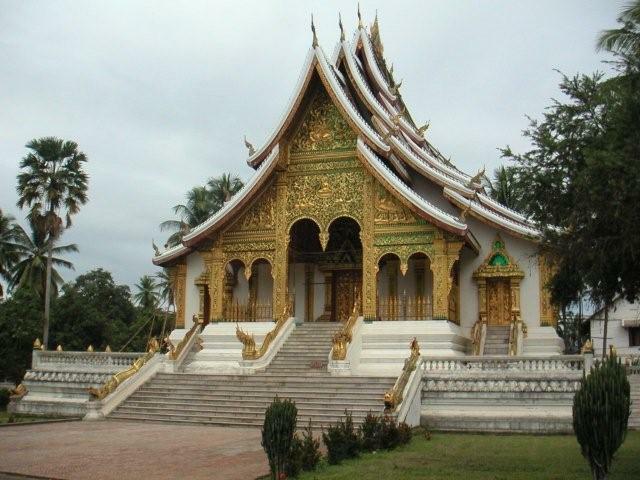 In 95 the 400km trip from Luang Phabang to Vientiane by road took 48 hours!!! After customs, we went outside and where practically attacked by 10 tuk-tuk drivers, who all wanted to take us to Vientiane. After some bargaining we paid US$1.5 to get to the city. Found a hotel and went out to see the city. We saw some markets and climbed to the top of the Patuxai, the Victory vientiane Monument. The monument was being restored, and the scaffolding used looked like it could fall down any time. There was a great view of the city from the top of the monument. The city actually looked better from above than from the streets. There are lots of trees in Vientiane, but when walking the streets, the trees can’t hide the fact that the city is dirty and poor. 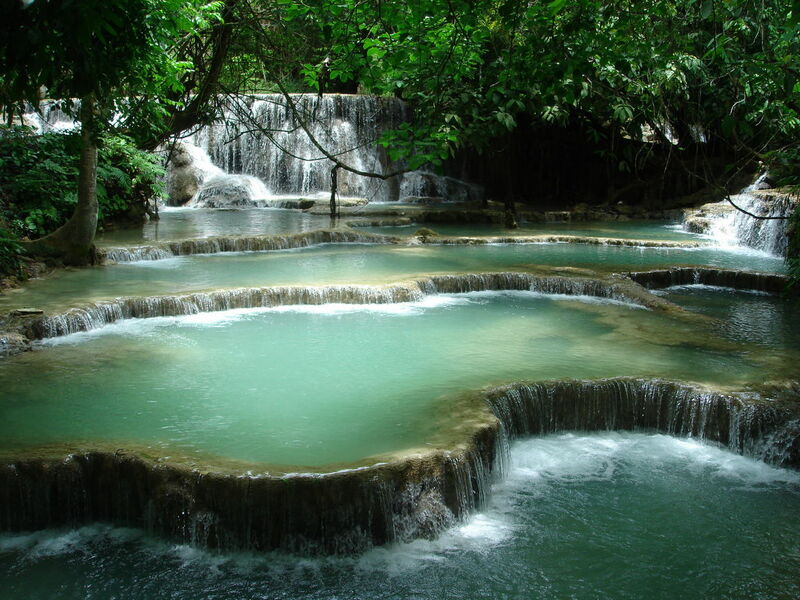 The next thing we did was to buy plane tickets to Luang Phabang, a city lying approximately 400 km north of Vientiane. It was a short but beautiful trip (took only 40 minutes) and we had a nice view of Luang Phabang during the landing. Spent some time seeing the city, among other things the Royal Palace and some beautiful temples. 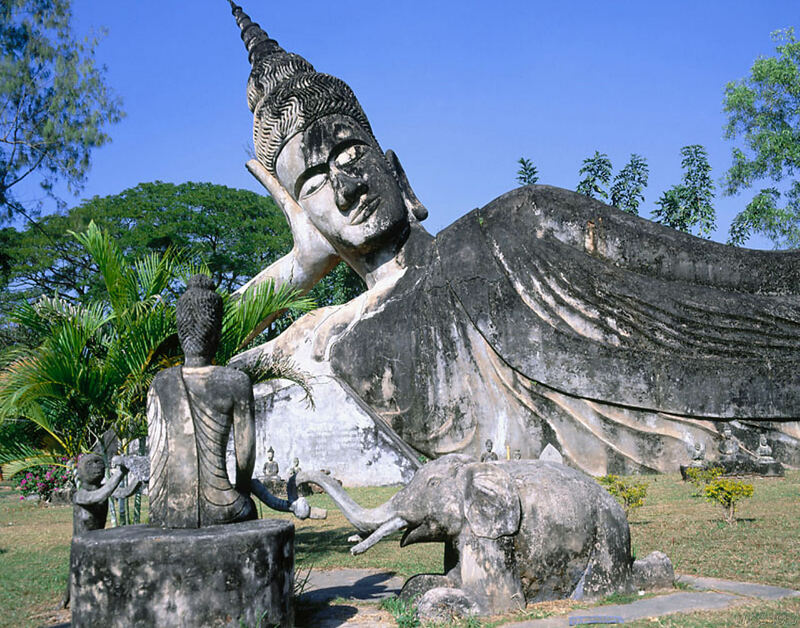 We also took a boat trip up the river, to see the small Pak Ou cave filled with Buddha statues. Visited a small village and saw how the villagers made rice whisky. Spent some more time just “hanging around” in Luang Phabang. There are hardly any tourists there (at least there weren’t back in 1995), which makes it a very special place. Tourists are normally all over the place. 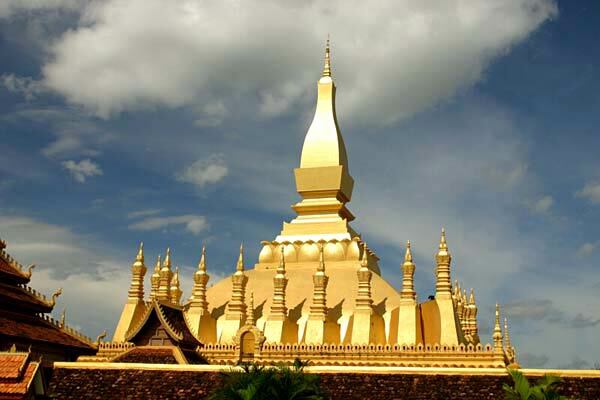 The greatest experience we had in Laos was the journey from Luang Phabang back to Vientiane. We had planned to take the boat, but when that turned out to be quite expensive we got a ride on a truck instead. For 48 hours we sat 7 people in the driver’s cab. It wasn’t pleasant, but it was an experience. The “road” was actually a mud-trail and the trucks got stuck all the time. The landscape was absolutely beautiful. When the cab got too crowded and the weather was OK we sat on top of the truck and enjoyed the view. We came through a lot of small villages where we turned out to be the big attraction. Especially the small children came running to see us. The 400km took us 48 hours! A road was being build at the time, and it is probably finished by now. That should bring the travel time down below 10 hours. Back in Vientiane we spent another day seeing the city. Then it was time to catch a plane o the capital of Vietnam, Hanoi.